The Steel Reinforcement Institute of Australia (SRIA) is the leading non-profit national organisation providing high quality technical support and information service to the Australian building industry on the use of reinforcing steel in concrete, primarily reinforcing bar and reinforcing mesh. The organisation actively supports and encourages the use of Australian capability and quality in the processing and use of reinforcing steel in concrete in an increasingly global market. The SRIA evolved from the Steel Reinforcement Promotion Group and was founded in 1988 reflecting the growing demand for technical assistance. SRIA is funded primarily by the vast majority of the processors of steel reinforcing used in Australian construction and supported by the founding Australian mill (supplier) members and associate members. The SRIA Board sets the charter, strategy and governance through the representation and leadership of all processor and founding supplier member companies. The Board’s core objectives are developed and delivered through special committees and expert panels. 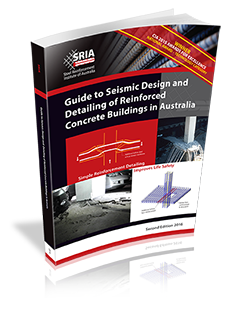 The SRIA offers practical solutions to meet the diverse and ever changing needs of the Australian building industry. The SRIA offers practical solutions to meet the diverse and ever changing needs of the Australian building industry. Download a copy of our Corporate brochure here.